When you shop ski boots at Buckman's Ski and Snowboard Shops, you have a wide selection to choose from. We carry a variety of different brands, allowing you to find the perfect pair. Having the right boots affects how you ski or ride your board. If they're too tight, your feet and toes will be extra sore every time you hit the slopes. If they're too loose, you risk a variety of injuries. Finding boots with the right fit is critical to having a safe, enjoyable time out on your skis or board. If you're looking for a new pair of men's, women's or kids' ski boots, you can find the perfect pair at Buckman's Ski and Snowboard Shops. When you have a ski boot that's the right fit, your only focus is enjoying being outdoors doing a sport that you love. If your boots aren't the right fit, it's a point of focus that will distract you the entire time that you're out. Size: Ski boots are sized using mondo sizing. This sizing relies on the length of the inner sole of the boot in centimeters. If you've never purchased a ski boot before, it's smart to measure your feet in centimeters. This will give you an idea of your size in ski boots. Fit: Your ski boots should match your skiing style. Ask yourself, what type of skier am I? Am I cautious or confident? How fast do I like to go? What kind of terrain do I love to ski on the most? The answers to these questions will help you find the right boot. Flex: In addition to their mondo sizing, ski boots are given a flex rating. A boot's flex depends on how easy it is to bend it forward. Your boots' flex rating will show you how stiff or soft they are. Let Buckman's Ski and Snowboard Shops help you find the perfect boots. 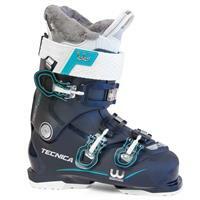 Why Shop Men's, Women's & Kids Ski Boots at Buckman's? The Best Products: Buckman's Ski and Snowboard Shops only carries the best of the best. You rely on your equipment to stay safe and to make sure you have a great time every time you go out. Price Match Guarantee: We aim to give you great products at a great price. If you find a better price on an item anywhere, we'll match it — guaranteed. Free Shipping: For most orders, when you spend $50 or more, we'll provide free shipping. Shop From Anywhere: Enjoy the convenience of shopping online from anywhere. You can also shop at one of our seven locations throughout Pennsylvania. Green Initiatives: We care about the environment and are making it a priority to help preserve it. That's why we have a solar energy system at our corporate headquarters, a recycling program and energy-efficient lighting. 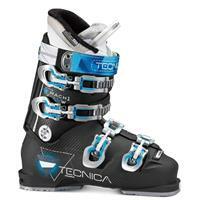 Custom Ski Boot Fittings: Make your boots an even better fit with our custom ski boot fittings. You'll feel even more confident and at ease knowing you're wearing a boot that was fit especially for you. When you're looking for the best ski and snowboard gear, apparel and accessories, come to Buckman's Ski and Snowboard Shops first for all of your winter sports needs. Feel free to reach out to us if you have any questions.